Ok..so I got his picture frame when my first daughter K was born. It's not bad but sheep weren't ever really my thing or went with my theme, which was green because we were trying to be neutral. The frame was a nice thick wood so I knew I would keep it and reuse it. I finally decided that I would use it as a hair clip holder for S. I would have done it for K but she's moved on from hair clips right now and loves headbands ( hence the headband hooks on the cork board redo). I taped off the glass with newspaper and masking tape. 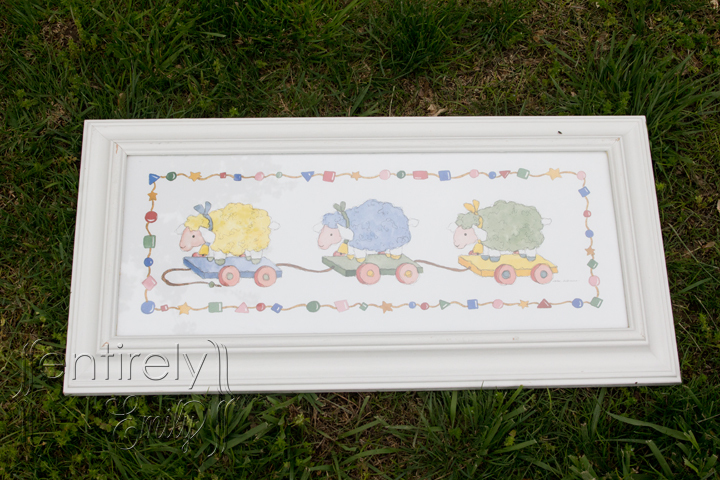 When J was spray painting the ugly cork board, he sprayed the white frame too. It had a bunch of nicks and scratches so a fresh coat of paint was needed. As the paint was drying, I worked on the lettering for her name. I really loved the font Three Dates, One Night. It's girly but not too babyish. I laid it out in Photoshop but you could use any word program. Then I printed out the name in two pieces( to make it 8"x 16" long) and laid them over the board that I would paint the name. 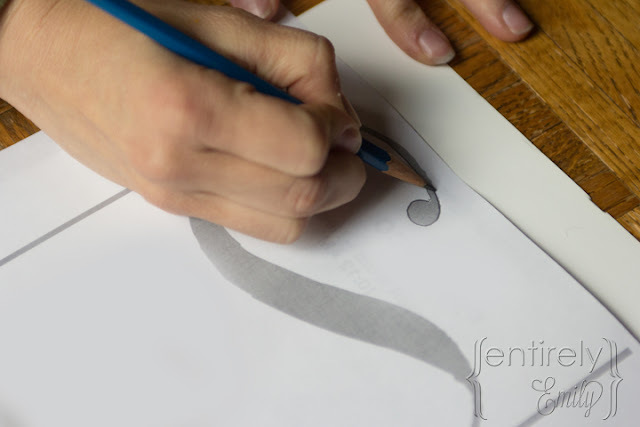 Painting names freehand is not my strong suit so I used a pencil to trace down onto the white board and it left a indent that I could paint into. 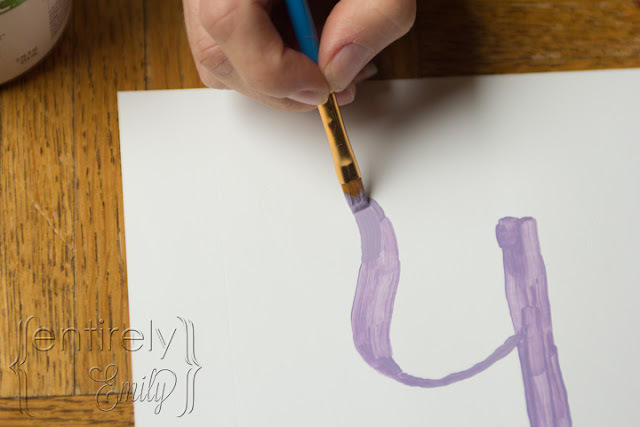 I had a paint sample leftover from painting S's room which I had never used.It was the darker purple we had decided against but it totally worked for this. I painted the name and a purple border to separate the mat from the white frame and to give it a little something. Then I took all of S's hair clips and bows and in my true OCD style put them on in color order from red to black. 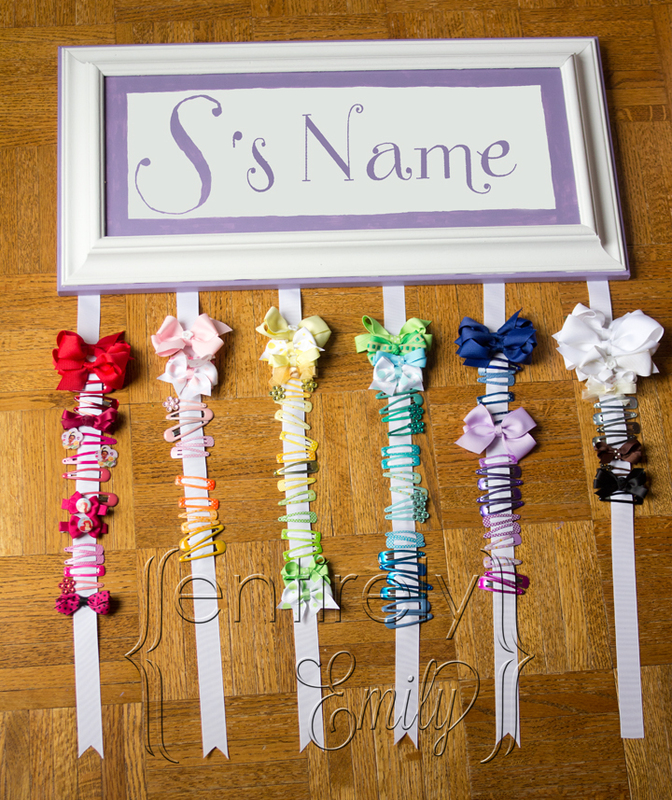 I left some room on each ribbon to get more bows and hair clips on when bought. 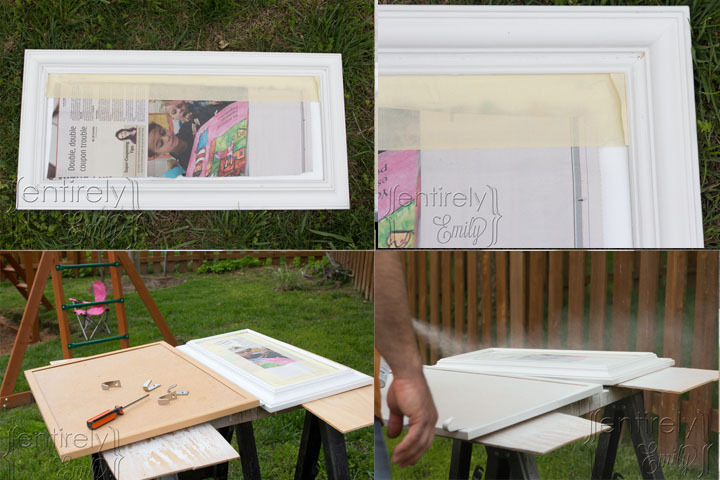 When I went to hang this frame on her door, I noticed that the frame blended into the door. Hmmm... 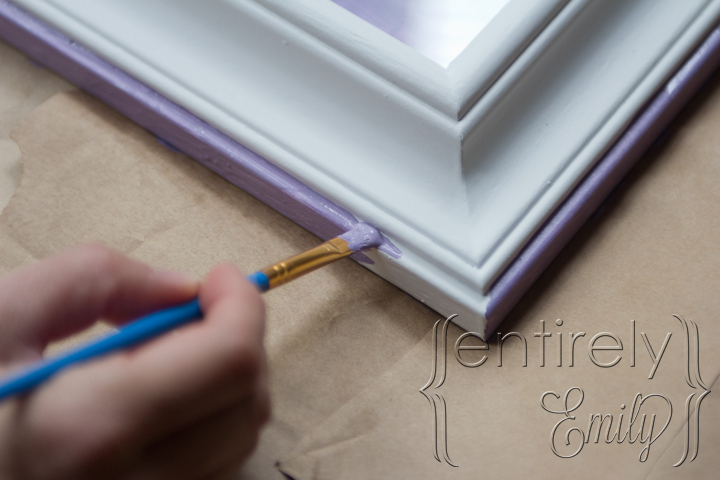 So I decided to paint a thin strip of purple on the frame too to make it stand out. Now there.... that's what I'm talking about. It's so nice now that the clips/bows are right there and easy to get to. And it makes her room even cuter. That's a lot of bows!!! 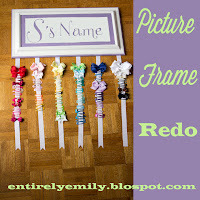 I did something similar but I found a 25 cent picture and frame at a garage sale, got rid of the picture, painted the frame, and added ribbon on the inside. 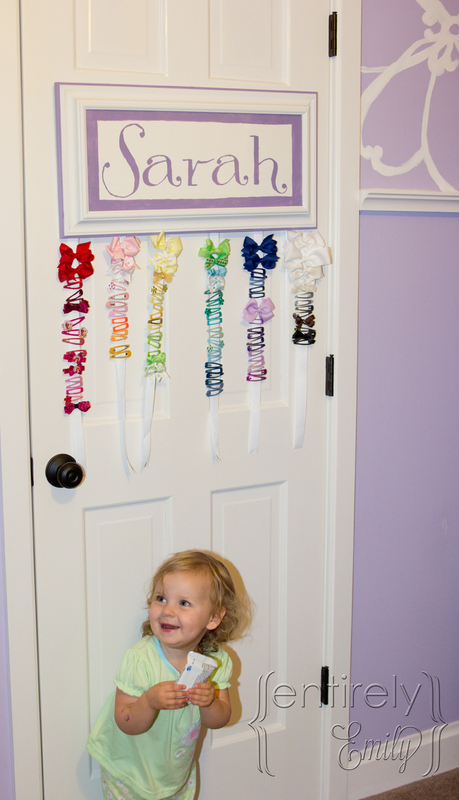 I then hung some in a loop on the bottom to hang her head bands and other larger items. I know, right? Most are from her sister that have been passed down. 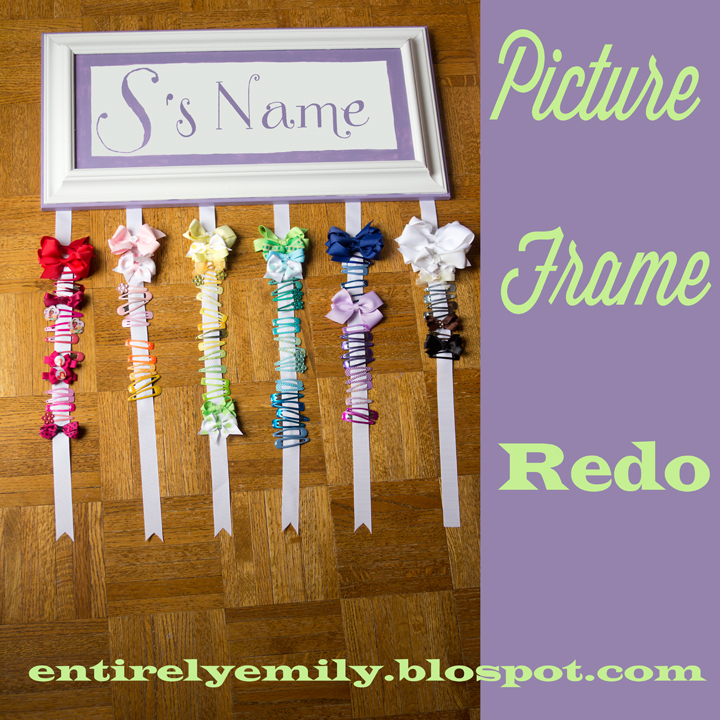 I never thought of putting the ribbon in the frame. Good Idea. DO you have that on the blog? 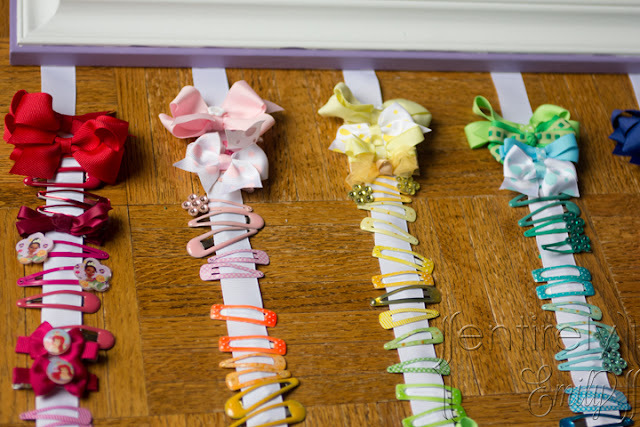 My granddaughter also has a lot of clips & bows too and this would work perfectly to keep them in sight until needed. Presently all her "hair goodies" are kept inside a plastic tote called a "kaboodle" ~ I'm going to tell my daughter about this project & see what she thinks. If she likes it, then I'll get to work on it with the colors she wants. Only with all her clips & bows that Sophia has, I'll need a much larger frame! This is such a cute idea! I'm going to post to Pinterest. Thanks , Laura. It was really fun. Thanks for the Pinterest Love. I remember Kaboodles. I'm sure I had one too. If you make one, I'd love to see the pics. It looks beautiful, I love it! I may do it myself....thanks!!! Thank you Sarah. Have fun! Thanks, Sarah. I'd love to. Thanks for the invite. I'm there. That's very cute!! Really nice job. I'm really glad you linked up at Romance on a Dime!! I started following you. I hope to see you back next week! Thank you , Betsy. I'm following you too. I always can use the save money tips. Thanks for having me!Love your site. Such a cute idea. (And "S" is just darling!) I like your blog header. Newest follower. Thank you so much. I love your Blog name and how you got it. Following you back. Thanks Melissa. Thanks for hosting. I am so happy you started blogging ( I read your bio, I completely relate) I love this project! 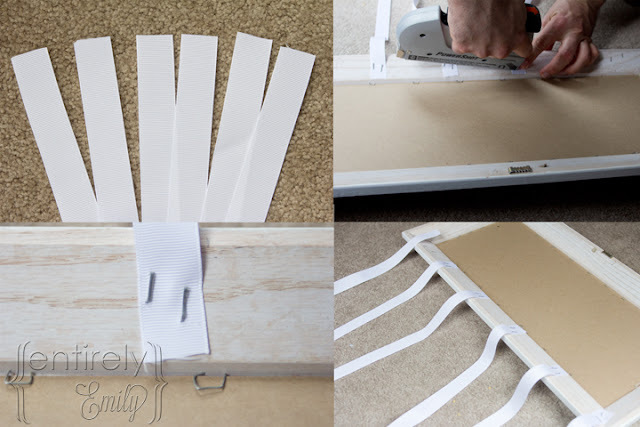 Thanks for linking up to Piece of Cake Party! Aww.. Thanks Katie. That's the sweetest thing anyone has said to me today. Anyone as nice as you sound have a gazillion followers. I make one more.